I offer ceramic tiles featuring my images. 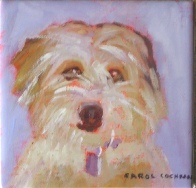 See Pet portraits for tile images. The tiles come with two different finishes: Shiny which is good for display only and Matte which is OK for use as a trivet or coaster. I personally can’t see much difference in appearance but the shiny ones will scratch. 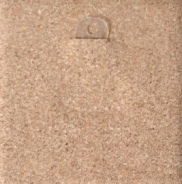 Standard tiles have a cork backing and hanging loops. They can be custom ordered with trivet frames, no loops or no backing. The 6” x 6” format is popular. Other sizes are also available, call me.